Yesterday the Michelin Guide revealed the newly starred chefs for their 2018 Great Britain and Ireland edition. 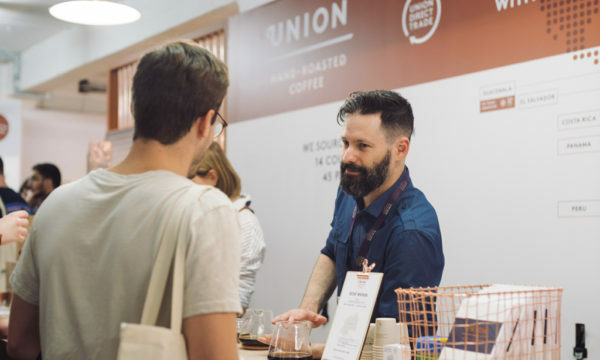 We caught up with most of them at the eagerly awaited ceremony in the City, and we also spoke with international director Michael Ellis who shared with us how they strive to maintain consistency across all the territories they cover. Claude Bosi isn’t new to the Michelin-star world, in fact just last year he closed his celebrated restaurant Hibiscus (two stars) in Mayfair and worked on the new project Claude Bosi at Bibendum (read our review here) which opened in March at the former Michelin headquarters in South Kensington. 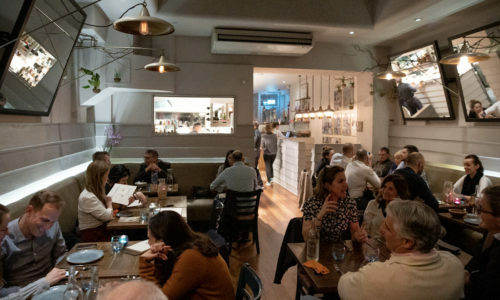 Andrew Wong told us how this Michelin star came after five years of hard work at A Wong (read our review here), the Pimlico restaurant named after his parents Albert and Annie. 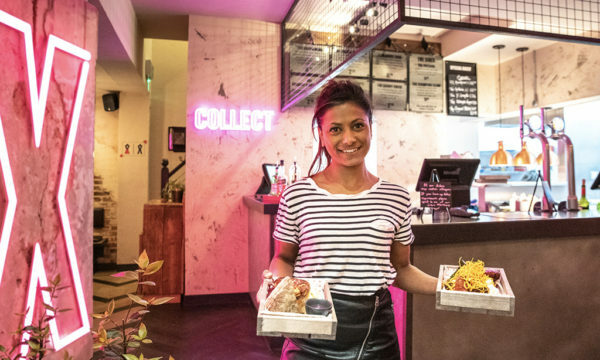 The British-born Chinese, who can count on the help of his wife and brother at A Wong, utilises modern technique to propose traditional Chinese flavours. While for most of the chefs a Michelin star is a dream, Anne-Sophie Pic earned her seventh one with La Dame de Pic (read our review here) at the Four Seasons Ten Trinity Square: the French restaurateur already holds three at Maison de Pic in Valence, two at Anne-Sophie Pic in Lausanne and one at La Dame de Pic in Paris. She told us about her passion for British produce, which is the primary inspiration for her dishes, and shared the accolade with the restaurant’s head chef Luca Piscazzi who was in attendance. Henrik Ritzén was ecstatic when they announced the star for Aquavit. The Swedish chef explained to us how their approach to Nordic cuisine is closer to the tradition (with a modern twist) rather than being yet-another version of the overly popular New Nordic launched by Danish restaurant Noma during the past ten years. 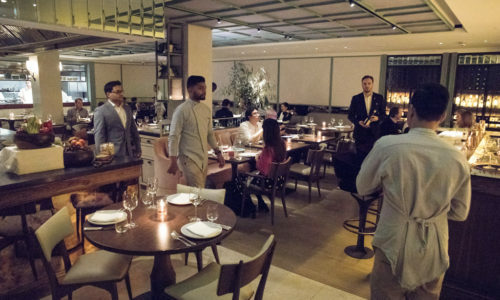 The luxury brasserie, which opened last November at St James’s Market, had to find its own identity given the fame of the two-Michelin-star sister restaurant in New York City. 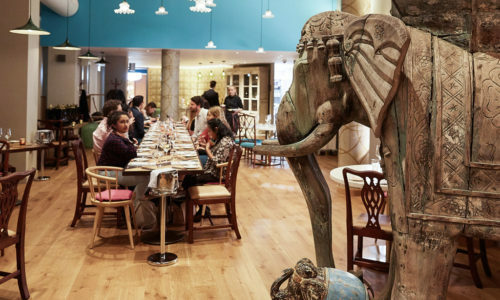 We spoke with Peter Sanchez-Iglesias of the creative team Sanchez Brothers who run the acclaimed family restaurant Casamia in Bristol and now also the next-door tapas place Paco Tapas named after his father. Peter, who lost his brother and co-chef in 2015, was still in disbelief from the announcement and explained to us how these two restaurants offer two different approaches to incredibly delicious food. The former chef patron of three-Michelin-star Restaurant Gordon Ramsay was in attendance and congratulated Matt Abé for retaining the third star at the iconic Royal Hospital Road establishment now that he is at the helm of the kitchen. 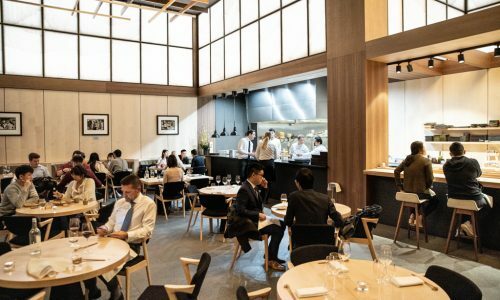 Two months ago Smyth opened her debut solo venture Core by Clare Smyth in Notting Hill, which has been received incredibly well by reviewers and diners. We talked about her cooking style and future plans for her new restaurant. 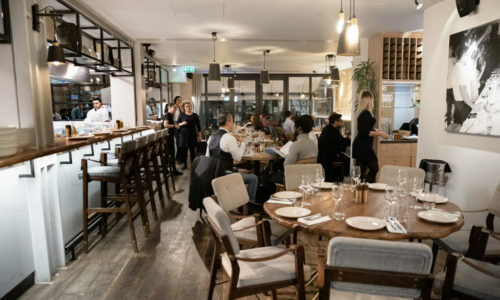 Sat Bains, of the self-titled Nottingham restaurant, retained his two stars and proudly vindicated the extra effort it takes to achieve that level of cooking outside London. The flamboyant chef told us his simple but effective secret of success: ignoring the trends and cooking every day a little better than the day before – and that could be the route to a third star. 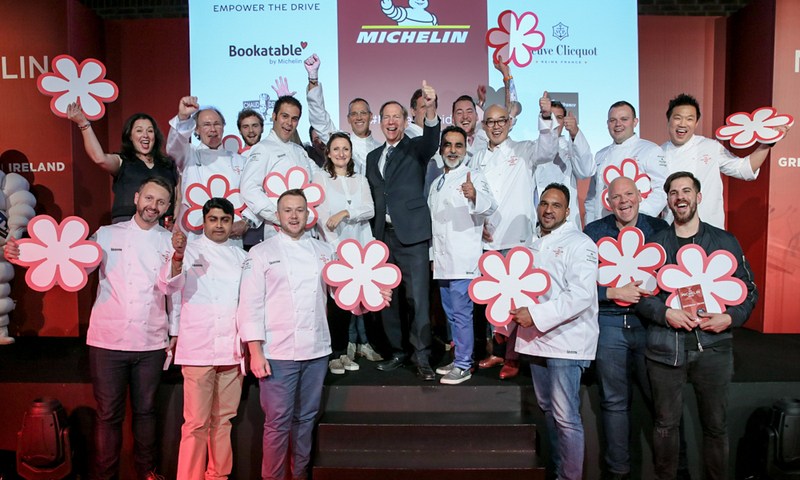 Finally, we spoke with Michael Ellis about the new Great Britain and Ireland Michelin guide. 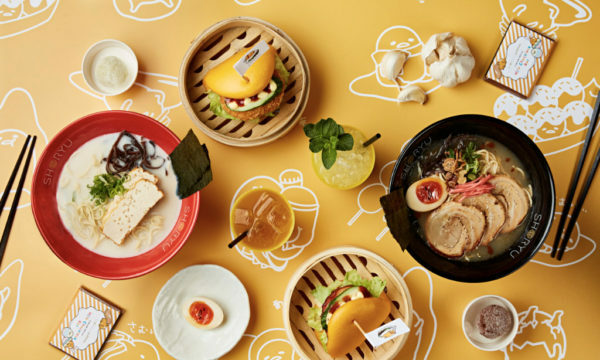 Ellis pointed out how the regional restaurants this year overshadowed London and the guide isn’t just about the stars but also about all the other establishments listed. In the end he shared with us the memories of when he worked in a starred-restaurants in 1979 whilst studying at university. 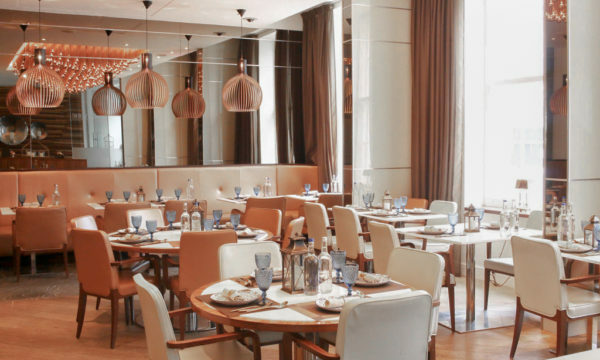 Here’s the map of every Michelin-starred restaurant in Great Britain and Ireland.